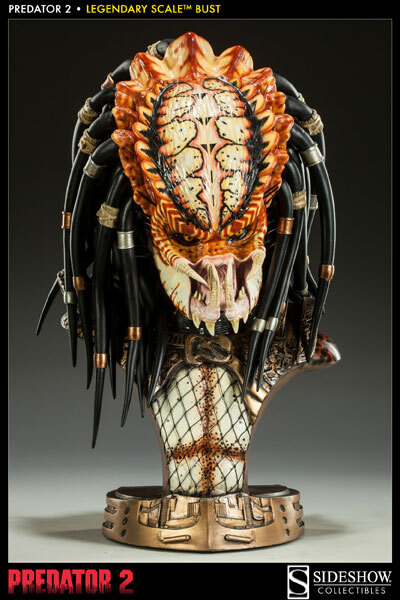 Sideshow Collectibles proudly introduces the Predator 2 Legendary Scale bust. 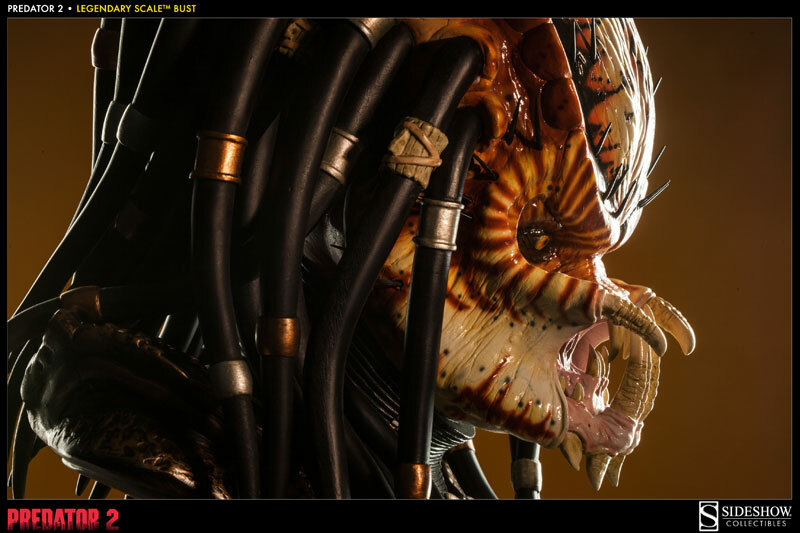 Depicted in approximately 1:2 scale, every aspect of the fearsome hunter is captured with painstaking attention to detail. 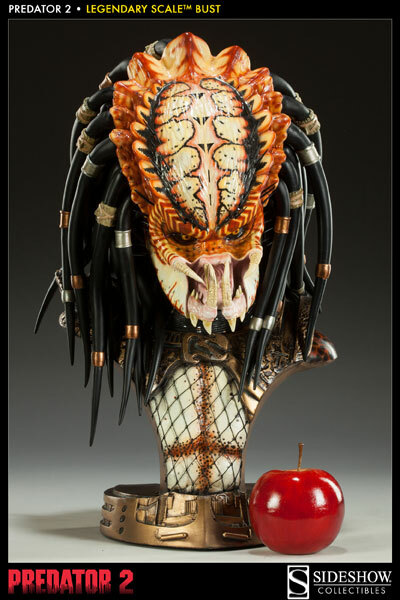 This tremendous bust measures approximately 18 inches tall, each piece is individually hand painted and finished, creating an exceptional addition to any Predator display. 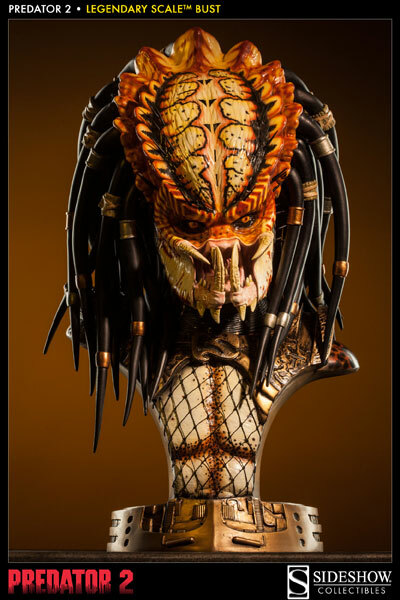 The Predator species (also know as the Yautjas) was first encountered in 20th Century Fox's 1987 release 'Predator,' hunting humans for sport in Central America. A creature from a distant world, he lives to fight, fights to win, and would sooner die than abandon the hunt. He is fearless, merciless and armed. Carrying an arsenal of advanced weaponry and technology and clothed in a suit that provides the perfect camouflage, he seeks only the most dangerous of game. He stalks his prey, collecting the skulls of victims as trophies and leaving bloody carnage in his wake. Though brutal, he is not without honor, hunting only that which is armed or capable of self-defense, for the sport is in the challenge. 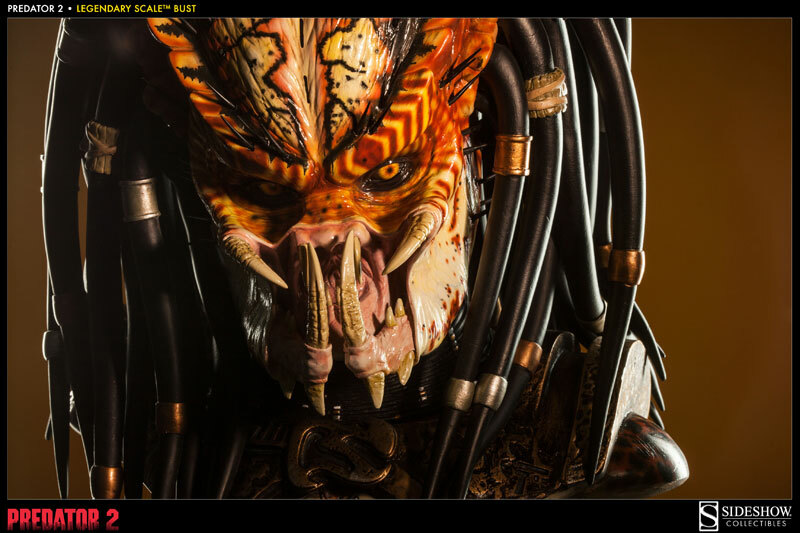 Whether it is an acid-blooded alien or an elite team of human commandos, the Predator is always up for a knock-down battle to the death.